I interpreted and realised an associative flow in a “live recording of the first session of sound, as a musician ” which was manipulated by live processing in the second session, where I acted as a body performer. 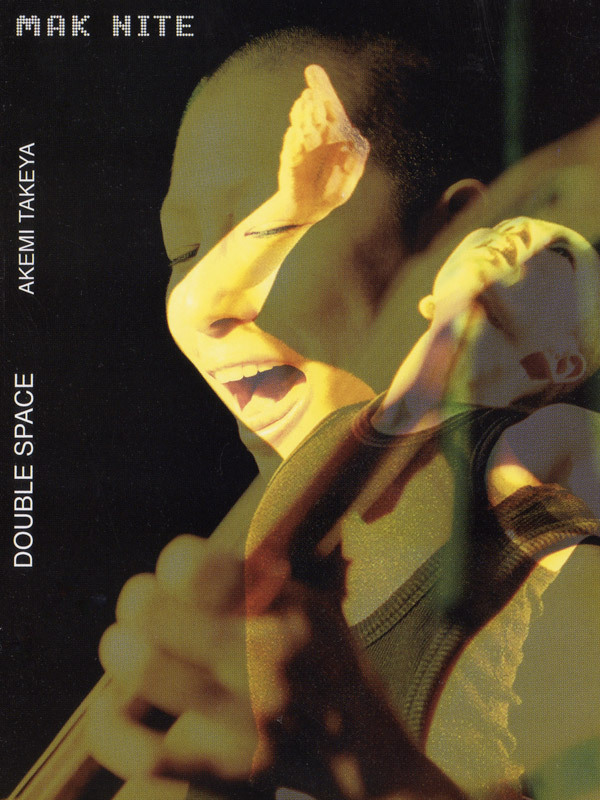 In part one of Double Space, Metamo.Breath, Akemi Takeya uses her breath, voice and an instrument (the Japanese lute shamisen) to create an artwork consisting of noise and sounds, a kind of transfer and translation of the performer’s energy flow into the outside space she shares with others. Akemi Takeya equally surrenders to her body’s own vibrations and those of the space, in this way representing the continuously moving and changing tension field between Inside and Outside, her body and its environment. 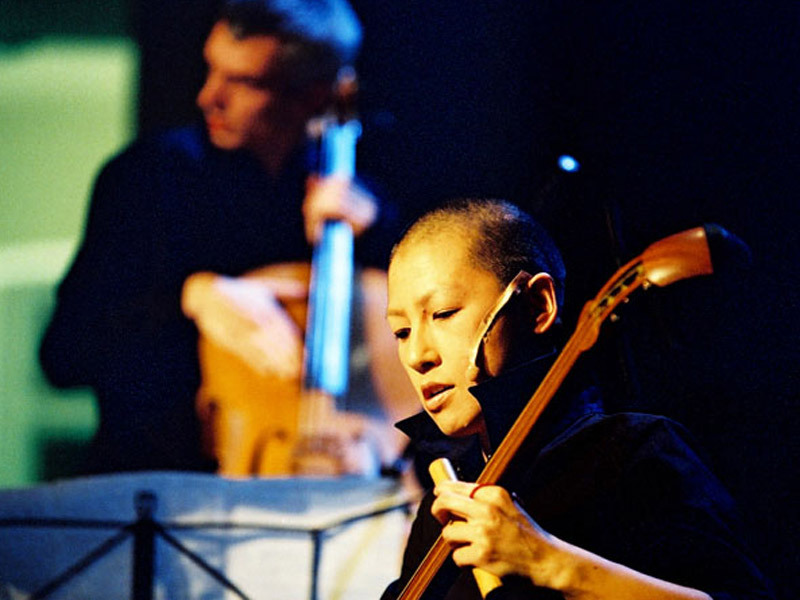 Her progress towards the “outside” is objectified by Arnold Haberl, who electronically manipulates the unfolding soundscape during the live act and accompanies it with the cello. 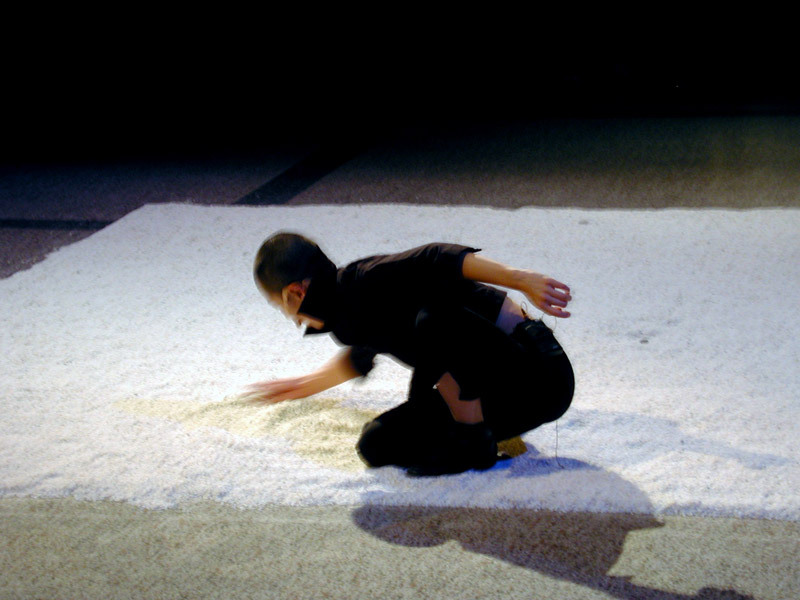 In this manner, a flexible sound architecture is created which can be felt in the space, and which forms the basis for the performance’s second part, Ringing Body. 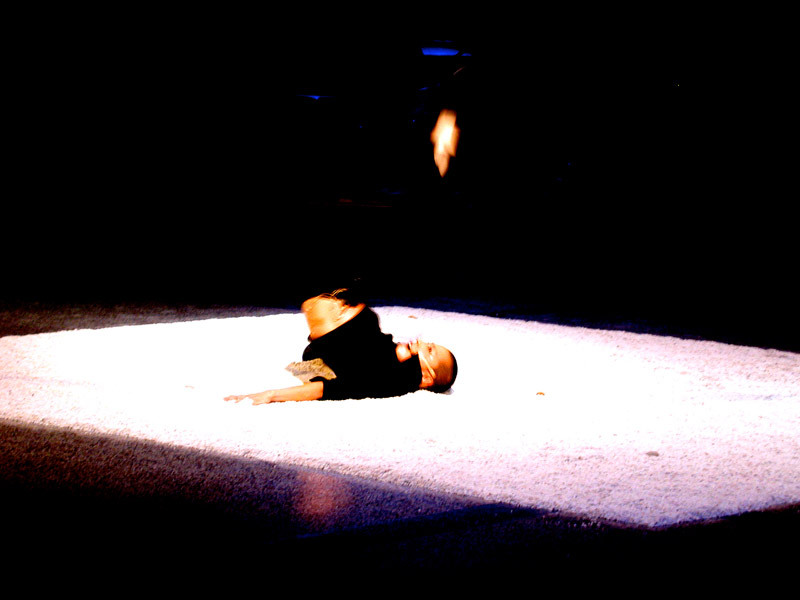 Here, the performer realises an associative flow of movement in free dance improvisation along with the sound recorded in part one. She is in a kind of delirium which she understands as the struggle for expressing a creature of fantasy – a being which exists before or beyond any articulated language. 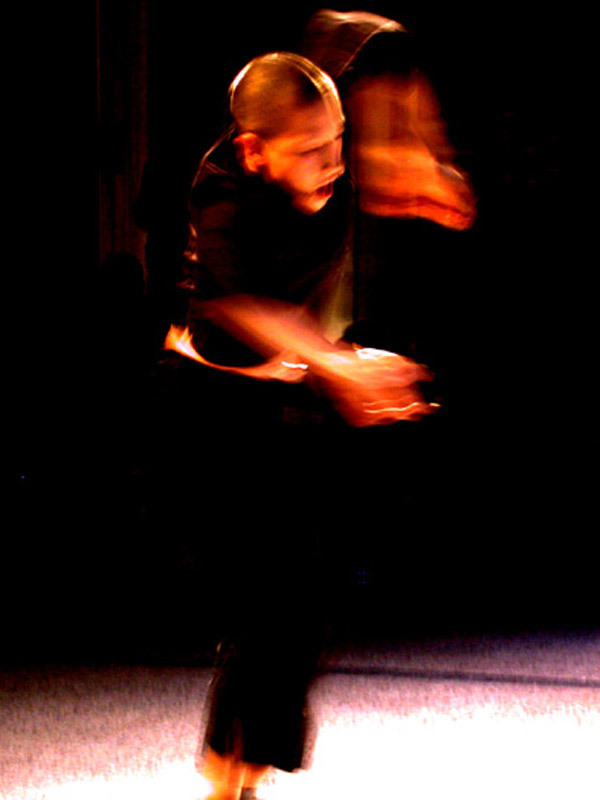 In this process which involves voice and movement alike, the body serves as an instrument allowing her to build up an authentic relationship with the outer world via the transformation of its peculiar inner sound.